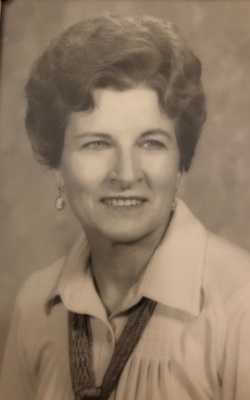 Obituary for Katherine T (Tenaglia) leBlanc | Boucher Funeral Home, Inc.
Katherine T. (Tenaglia) LeBlanc, 92, formerly of Templeton, Gardner, and Phoenix, died peacefully Thursday, February 7, 2019 surrounded by her family. Born in Templeton on February 15, 1926, she was the daughter of the late Ignazio and Mary (Cipollone) Tenaglia. Katherine graduated from Templeton High School with the Class of 1944 and later attended Mount Wachusett Community College of Gardner. She was employed as the Business Office Manager of New England Telephone and Telegraph Company of Leominster for 33 years, prior to retiring in 1984. Katherine was a member of Annunciation Parish/Our Lady of the Holy Rosary Church of Gardner and St. Thomas the Apostle Parish of Phoenix, AZ. She was a member of the American Legion Ladies Auxiliary Post 373 of Baldwinville, Gardner Museum and Fitchburg Chamber of Commerce. She was the former President of St. Martin’s Women’s Club, former President of the Parent Teacher Association of Templeton, former President of Quota Club, Inc. of Gardner, and was a former Girl Scout and Brownie Leader for the Girl Scouts of America. She enjoyed golfing, quilting, painting, ceramics and art. Katherine was also an avid baseball fan; however, her greatest joy was spending time with her family and grandchildren whom she adored. Katherine was predeceased by her husband of two years, Attorney Francis H. LeBlanc, who died in 1988. She leaves her son, William A. Scerra and his wife Mary of Natick; daughter, Kathryn M. Clancy and her husband Richard of Woodridge, Illinois; sister, Mary Jane Johnson and her husband Lorenzo of Champagne, Illinois; seven grandchildren, Amy Galan, Matthew and Jeremy Scerra, Kara Yee, Patrick and Johnathan Clancy and Kerrin Larsen; eight great-grandchildren, Esther and Hannah Yee, Edward and Francis Zmuda, Isabel Scerra, Benjamin, Carter and Katheryne Galan; several nieces, nephews and cousins. Katherine was predeceased by her brother, Nicholas Tenaglia; sister, Delia Pruhs; and grandson, Richard Zmuda. Funeral Services were private and were held at the convenience of the family. Memorial contributions may be made to St. Jude Children’s Research Hospital, 501 St. Jude Place, Memphis, TN 38105. Please reference in memory of Katherine T. LeBlanc. Boucher Funeral Home, Inc., 110 Nichols Street, Gardner handled the arrangements.